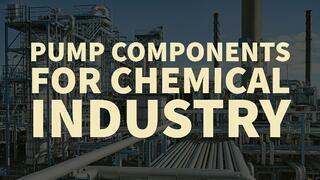 Pump Components for the Harsh Applications of the Chemical Processing Industry | Triangle Pump Components Inc. 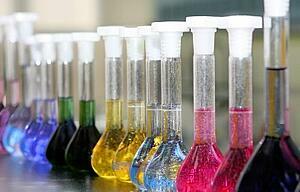 Steam is one of the chief sources of energy in the rigorous chemical processing industry. Able to create heat, change chamber pressure, separate components, provide water, trigger chemical reactions, and transfer energy in order to power various systems, steam is used in many industrial and chemical applications. To enable these essential functions, steam can be processed in a number of ways.In fact, many manufacturing facilities keep their operations a secret in order to maintain a competitive edge in the industry. There are, however, a few standard steam processing methods, all of which require durable pumps and components capable of withstanding the harsh nature of chemical applications. Stripping — This process helps separate components by using steam in stripping towers to pull away contaminants from a process fluid. The steam is not directly returned afterward, as it then contains too many undesirable substances. Quenching — Quenching is the direct injection of steam to regulate temperature during exothermic reactions. The steam, which has a large latent heat capacity, can then be removed during later steps in the process. Fractionation — Another common separation process, this involves injecting steam into the bottom of a fractionation tower fill ed with components of differing boiling points. The steam lifts the more volatile of the products upward, where they then condense on trays that are kept at the condensation temperature of the desired products. Process Heating — Steam can be used to heat applications up to 700 ˚F, although 250-500 ˚F is a more realistic range for its generation and distribution at high pressures. However, because direct-fired furnaces can usually achieve higher temperatures than steam, they are often used in chemical applications. Chemical processing valves and pump components — such as those needed for end-use steam applications — must be able to withstand the corrosive effects of these systems. Reciprocating pump valves, in particular, must prove their ability to pump piping-hot steam and volatile fluids from the early stages of a process all the way to the final operations that help create a polished, consumer-ready product. Triangle Pump Components, Inc. is a provider of the historic Durabla valve, a line unmatched in durability and reliability for high-intensity applications like steam processing. Available in four different reciprocating pump valve varieties, Durabla valves are capable of withstanding pressures ranging from 50-6500 psi and provide extended service life in the most rigorous environments. Need help with a Durabla valve or other components adapted for the harsh conditions of the chemical processing industry? Request a quote now, and a team member will contact you shortly.